Valerian, also known as Valeriana officinalis, is a flowering plant native to Europe and Asia. The root of the plant has long been used as a herbal remedy to treat insomnia. The use of valerian root dates back to the Greek and Roman Empires and was noted by Hippocrates to treat headaches, nervousness, trembling, and heart palpitations. Valerian contains a substance known as valerenic acid that is believed to affect gamma-aminobutyric acid (GABA) receptors in the brain. It is believed that one of the purposes of GABA is to control fear or anxiety experienced when nerve cells are overexcited. By doing so, valerian may act as a mild sedative and anxiolytic (anxiety-reducing drug). Valerian is available in teas, extracts, tinctures, capsules, tablets, and essential oils. Valerian extract and essential oils are also used as a flavoring in foods and beverages. Alternative practitioners believe that valerian root can treat a variety of health conditions, including insomnia, anxiety, headaches, digestive problems, menopause symptoms, and post-exercise muscle pain and fatigue. The evidence supporting these claims is generally mixed. Valerian root is probably best known as a remedy for insomnia. Despite its popularity among consumer, there is little evidence that it can promote sleep or improve the quality of sleep. A 2015 review of studies in Sleep Medicine Reviews concluded that valerian root (or similar "calming" herbs like chamomile or kava) had no discernable impact on sleep in 1,602 adults with insomnia. Valerian root is touted by some as a safe and natural alternative to prescription anxiety drugs, most especially those like Xanax (alprazolam), Klonopin (clonazepam), Valium (diazepam), and Ativan (lorazepam) that act on GABA receptors. There is some evidence, albeit weak, to support these claims. Valerenic acid appears to act on receptors in a way that enhances GABA transmission but without the pronounced sedative effects of a drug like Valium. This may benefit people on treatment for anxiety and other mood disorders. A 2015 review from Harvard Medical School contends that of 12 traditional herbs used to treat anxiety (including hops, gotu kola, and gingko), valerian was the "most promising candidate" for treating anxiety associated with bipolar disorder. By contrast, a 2005 study from the University of California, San Francisco found no benefit from the use of valerian root and/or kava in 1,550 people with anxiety and insomnia. Valerian root may be useful in minimizing hot flashes commonly affecting women during menopause. The exact mechanism of action is unknown since valerian doesn't appear to directly influence hormone levels. A 2013 study from Iran involving 68 women with menopause reported that valerian capsules, when taken thrice-daily in 225-milligram doses for eight weeks, reduced the severity and frequency of hot flashes compared to a placebo. No notable side effects were reported. 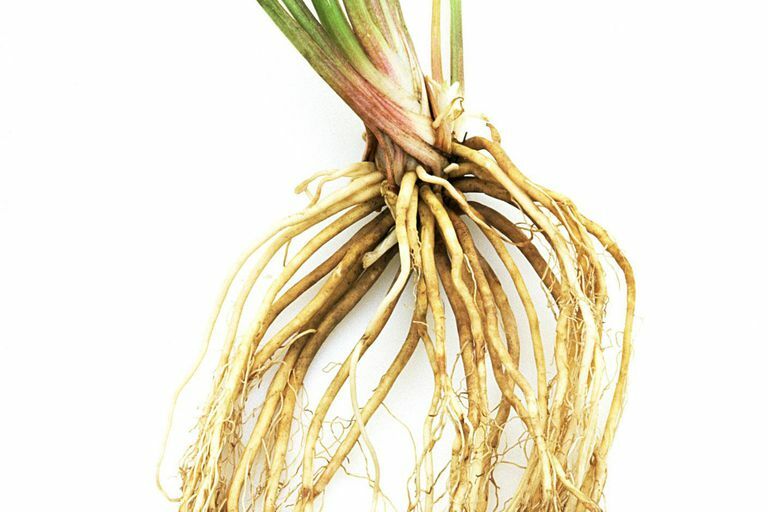 Most clinical studies have shown that valerian root is well-tolerated and safe for short-term use. Side effects, if any, tend to be mild and may include headache, dizziness, itchiness, upset stomach, dry mouth, vivid dreams, and daytime drowsiness. Although rare, liver damage has been known to occur, usually in response to the overuse of valerian supplements or "wild-crafted" dried root. It is not known whether the cause of the liver damage was due to valerian itself or contaminants in the product. To avoid injury, let your doctor know if you intend to use valerian root for medical purposes. Ideally, you should have your liver enzymes monitored regularly to ensure that your liver remains healthy and functioning. Stop using valerian and call your doctor immediately if you have any signs of liver impairment, including persistent fatigue, nausea, vomiting, dark urine, clay-colored stools, or jaundice (yellowing of the eyes or skin). Valerian may cause excessive sleepiness if combined with alcohol, sedatives, some antidepressants, over-the-counter sleeping pills, or cold and flu remedies containing codeine, diphenhydramine, or doxylamine. Due to the lack of safety research, valerian should not be used in children, pregnant women, or nursing mothers. It should also be used with extreme caution in heavy drinkers or people with liver disease. There is no set dosage for valerian root or valerian root extracts. Most valerian capsules and tablets are formulated in doses ranging from 250 to 1,000 milligrams and are considered safe within this range. The effects of valerian root are said to be noticeable within one to two hours. It is usually best to take a dose 30 minutes or two hours before bedtime. To make valerian tea, add 2 to 3 grams of dried valerian root (roughly 1 to 2 teaspoons) to one cup of hot water and allow to steep for 10 to 15 minutes. Valerian tinctures and extracts can vary in concentration; as a general rule, never exceed the recommended dosage on the product label. Valerian essential oil is mainly used for aromatherapy and is not intended for internal use. Even food-grade essential oils used for flavoring should never be taken by mouth. Because herbal remedies like valerian root are largely unregulated in the United States, you need to take steps to find products that are safe and reliable. One way to do this is by checking the label to see if the supplement has been certified by an independent agency like the U.S. Pharmacopeia (USP), ConsumerLab, and NSF International. These certifying bodies are tasked with ensuring that drugs and supplements voluntarily submitted for testing contain the active and inactive ingredients listed on the product label. Another way to choose herbal supplements is to pick those that have been certified organic under the regulations of Organic Foods Production Act of 1990. This is especially true when buying dried "wild-crafted" root or root shavings used to make teas and tinctures. In 2007, researchers in England found that many domestically grown valerian products contained excessive high levels of heavy metals (including cadmium, chromium, copper, lead, and zinc) as well as evidence of infectious molds and bacteria. Leach, M. and Page, A. Herbal medicine for insomnia: A systematic review and meta-analysis. Sleep Med Rev. 2015 Dec;24:1-12. DOI: 10.1016/j.smrv.2014.12.003. Baek, J.; Nierenberg, A.; Kinrys, G. et al. Clinical applications of herbal medicines for anxiety and insomnia; targeting patients with bipolar disorder. Aust N Zealand J Psychiatry. 2014:48(8):705-15. DOI: 10.1177/0004867414539198. Jacobs, B.; Bent, S.; and Tice J. An internet-based randomized, placebo-controlled trial of kava and valerian for anxiety and insomnia. Medicine (Baltimore). 2005;84:197-207. Mirabi, P. and Mojabb, F. The Effects of Valerian Root on Hot Flashes in Menopausal Women. Iran J Pharm Res. 2013 Winter;12(1):217-22. Weightman, R. Heavy Metal and Microbial Contamination of Valerian (Valeriana officinalis L.) Roots Grown in Soil Treated with Sewage Sludge. J Herbs Spices Medicinal Plants. 2007;3:77-88. DOI: 10.1300/J044v12n03_06.